Folder Lock lets you password-protect files, folders and drives; encrypt your important files on-the-fly; backup them in real-time; protect portable drives; shred files & drives and clean history. Folder Lock is the most downloaded file-security application with more than 25 million users. It works on 32-bit and 64-bit versions of Windows 10, 8, 7, Vista, XP. 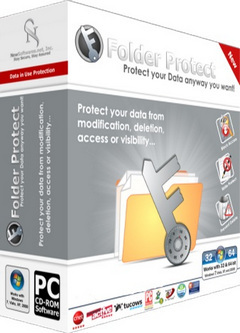 Folder Protect offers 'Data in Use' security for your important files, folders, drive and programs. 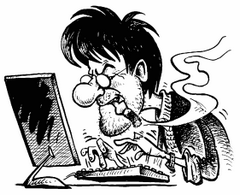 It lets you choose whether you want to write protect, delete protect, access protect or hide your data. The program also offers Safe Mode locking, stealth mode and hotkeys, auto-protection and password prompt on access of protected item. 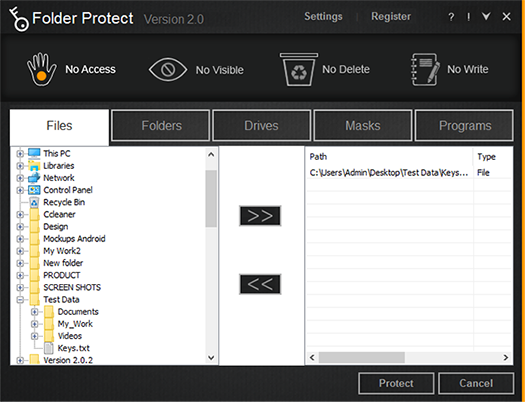 Folder Protect offers features that sets it apart from other password protection software.